The basic Galley design is derived from ships used in Ancient Rome. Predominantly powered by banks of oars and armed with a ram and marines for melee. 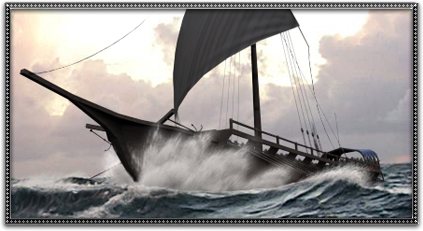 The Galley has supplemental sails for getting to battles without tiring the men and are used by everyone in the Mediterranean from east to west.